The 2018 NCHIMA Annual Meeting will be held at the Sheraton Imperial Hotel and Convention Center, 4700 Emperor Boulevard, Durham, NC 27703, on May 1 – 4, 2018. The NCHIMA Program Committee is soliciting speaker abstracts for 1 or 2 hour education sessions. 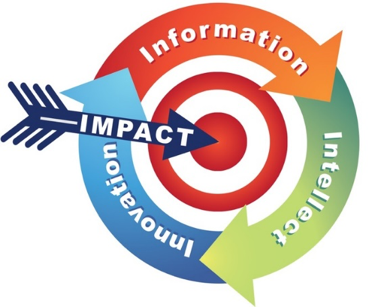 Our theme for the 2018 NCHIMA Annual Meeting is “Having an Impact.” The message here being that we as professionals and a profession seek and consume information. That information needs to be received, processed, understood and retained to shape our intellect. With intellect, we are able to innovate. Through this series of “Information-Intellect-Innovation” we choose to have an Impact. Every action and interaction has an impact, whether positive or negative. As professionals and a profession, we must choose to have a positive impact on our industry, stakeholders and the patients served. To submit your application for a speaking engagement you may follow the link below and must submit your information by October 31, 2017. Only speakers selected for our 2018 NCHIMA Annual Meeting by the NCHIMA Program Committee will be contacted by email to confirm the speaking engagement. Please follow the links below for additional information about our meeting and to complete the Speaker Bureau online. Please click here to complete the online speaker application and agreement. Email or paper submissions will not be accepted.